Large, indeterminate, regular-leaf tomato plants that yield a plentiful crop of 3-4 inch, mahogany colored with dark, olive green-striping (similar to black zebra). Fruits have delicious, complex, rich, sweet, earthy tomato flavors. 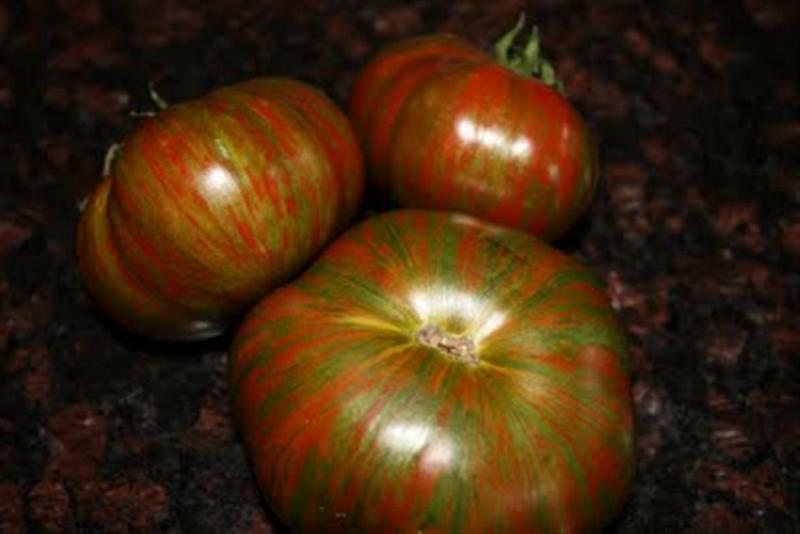 Chocolate Stripe, another desirable 'black tomato," is an excellent tomato and a fine choice for your tomato garden. Produces well into the autumn. A great sandwich tomato and salad tomato.